Stem Cell Therapy Proving Successful in Horses. In 2012 a Veterinarian medicine seminar was held to discuss stem cell science and provided state of the art expertise on spinal cord injuries, organ diseases, neurological problems and of course orthopedic conditions. One area not currently developing in veterinary medicine is plastic surgical applications like facelifts. Another facet of stem cell treatments and regenerative medicine are the options and applications as alternatives to surgery. 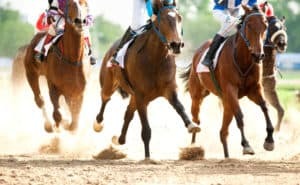 You normally would not associate Lexington, Kentucky prized racehorse country, with a Veterinarian medicine seminar with one having human Regenerative Medicine and stem cell science together, but that is what happened. It provided state of the art Regenerative Medicine for both fields. Including spinal cord injuries, organ diseases, neurological problems and of course orthopedic conditions. No one wants a prized lame racehorse. One area not currently developing in veterinary medicine is plastic surgical applications like facelifts. Seems the horse owners are less concerned than their human counterparts that age. Another facet of stem cell treatments and regenerative medicine are the options and applications as alternatives to surgery. A premise of Regenerative Medicine is helping the body heal itself. Dennis M. Lox M.D has lectured nationally and internationally at Regenerative Medicine and Stem Cell Science Symposiums. These are university professors and researchers in the Regenerative Medicine field. A favorite topic of Dr. Lox at his lectures is Athletes and animals don’t respond to placebo. Drug clinical trials go through a randomized double-blinded placebo control phase. Translation the doctor/researcher and the patient don’t know if they are getting the “drug being tested” or a placebo. Placebo is like a sugar pill, it shouldn’t have a statistically significant effect. So you can’t make a lame racehorse run faster with a sugar pill. Same with athletes. Athletes can play well with injuries, yet if you measured their speed a football player with a hamstring tear will not run faster. One of the greatest tennis players of all time Rafael Nadal has had intermittent knee problems attributed to his grueling style of play. 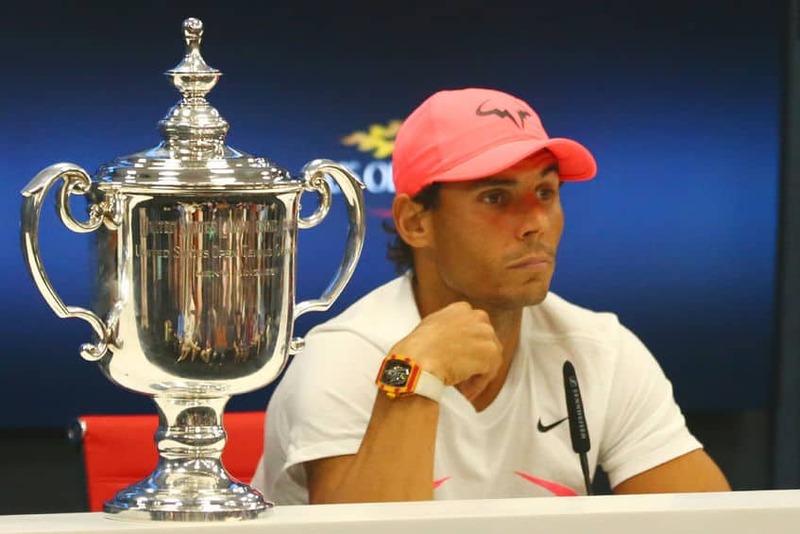 Nadal has had multiple knee platelet-rich plasma (PRP) injections in between tennis tournaments. There are growth factors in PRP, and an inflammatory reduction can occur in 2 weeks. There are no stem cells in PRP. If the knee injury is more serious or requires more time to heal knee stem cell injection may be a better alternative. In 2012 Dr. Lox invited Nadal as a panel speaker in Aspen, Colorado on Athletes and Regenerative Medicine. Dr. Lox, a speaker and moderator of the Symposium spoke on his experience in the field with athletes. Rafael Nadal’s doctor decided it was no longer a short-term 2 week PRP problem. Nadal took nearly 7 months off the men’s professional tennis circuit. Returning in 2013, he became #1 in men’s tennis, which astounded fans given his age. Not long ago few universities had stem cell research departments. Now nearly every major university and the medical school does. In nearly every field of medicine and Regenerative Medicine Institutes or both. California leads the way with stem research because the states were first to realize that the lack of government funding in stem cell research was a major problem. The state of California passed legislation that allowed taxpayer money to be used for Stem cell research and created the California Institute for Regenerative Medicine (CIRM). The large financial ability to fund university research has helped fast-track many projects to help humans.